Flower Sketch Demo in Pencil. This flower sketch can be made on cartridge paper with any soft pencil. 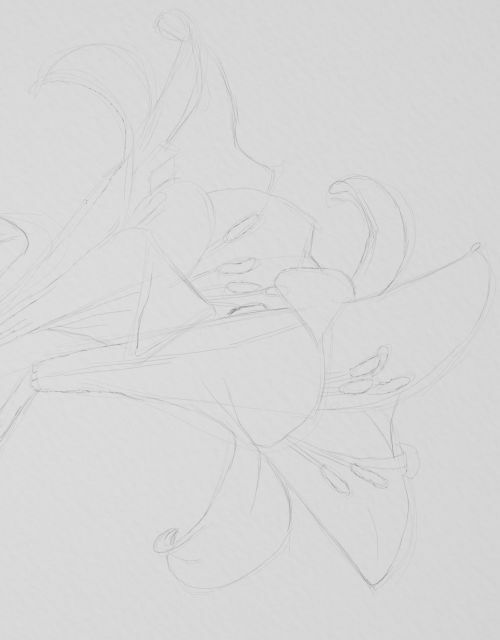 When flower drawing break the complex forms down into manageable shapes and lines. 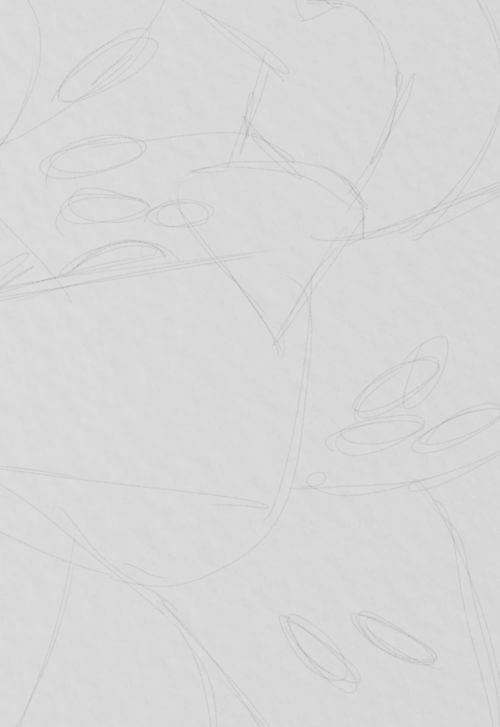 Getting the shapes correct is the first obstacle when drawing flowers. Tone and colour is often secondary for me even when I intend to paint. 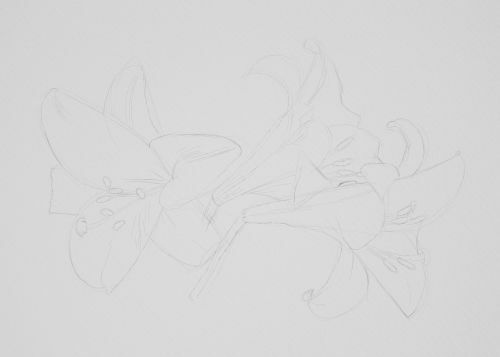 I start the sketch of three lilies with sweeping and curving lines. The flowers look trumpet-like from the side. From the front the petals can appear squared off as they bend away or like arches. 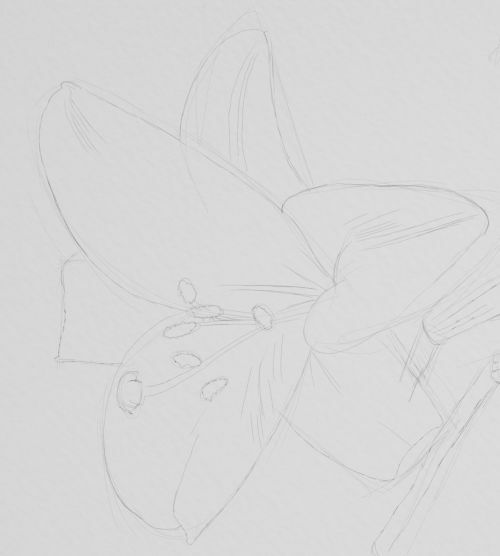 I draw the tips of the stamen and two visible pistal as simple pill shapes. All I want to achieve here is to position them properly. I concentrate on the shapes of the petals, getting the contours of the lines right. This means observing carefully and redrawing if necessary. 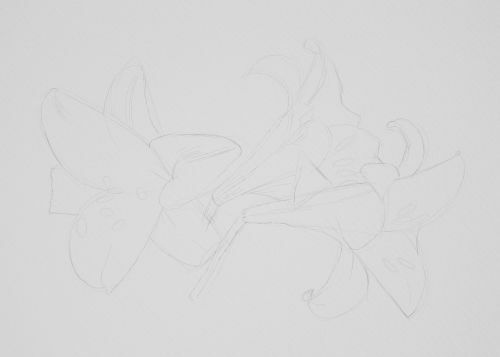 The flower sketch is simple but accurate and a perfect springboard for making tonal drawings or colour studies. 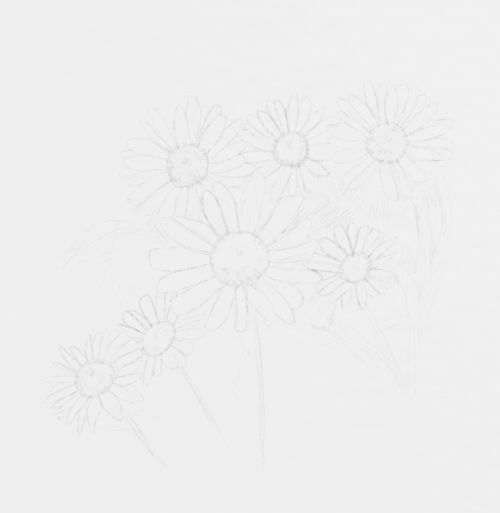 This is a quick sketch of daisies.  Although daisies are relatively simple flowers and the classic shape as drawn by children the artist still needs to some care when drawing them.  I start by placing several circles and ovals. The circles are where we see the head of the flower straight on and the ovals are flowers at an angle. I add petals but note how they overlap and are not uniform in shape and length. I add to the other daisies in the same way.  And finally I add a few strokes to indicate the features on the centres and sketch stalks. Very simple, very easy to draw but still well observed.  Go to painting flowers from flower sketch.